Avoiding foreclosure through a short sale can pay off your mortgage, preserve your credit and stop collection agencies from calling, prevent a judgment against you and subsequent garnishment of wages and levy of your bank accounts. The Law Office of Kenneth Carp, PC will assist with the listing of the property, completion of the short sale packages and documentation required by the lenders and represent your interests through the entire short sale process. 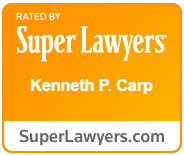 The experienced team at the Law Office of Kenneth Carp includes a dedication person working with the lenders and a professional Realtor who has been involved with many short sales from start to finish. If you’re considering a short sale then you have a house which is worth less than what you owe or are facing a possible foreclosure. We know that time is not on your side and we are committed to working on your short sale in a timely and professional manner. The Realtor we work with will look for a buyer where many Realtors are interested in only listing your home. Our staff knows whether you and your home are a good candidate for a short sale and we pride ourselves on professional and honest help. A successful short sale starts with our immediate involvement. Assessing the likelihood of the lender’s approval, listing the property with a seasoned professional Realtor and effectively communicating with the lender’s short sale team are the trademark of a successful short sale. Both the lawyer’s and Realtor’s fees are paid only upon the completion of the short sale. Therefore we are all motivated to see your short sale successfully completed as quickly as possible. There are many scams out there taking advantage of property owners who are in a financial crisis. Do NOT transfer title to your property, pay an upfront fee for a short sale service or believe anyone who says they have an immediate buyer for your property even before it is listed. Short sales in St. Louis Missouri and St. Charles Missouri require the professional help and experience of the team with the Law Office of Kenneth Carp, located in Bridgeton, MO, Missouri. As a lawyer for over 23 years and a retired Lt. Colonel from the US Air Force where he served as a Judge Advocate General (JAG) Attorney Kenneth Carp and his team is here to help you and your family through this difficult financial time. Call us at (636) 947-3600 in order to discuss your situation and how a short sale of your property in St. Louis or St. Charles, Missouri could benefit you and your family. Feel free to e-mail Kenneth Carp Directly.